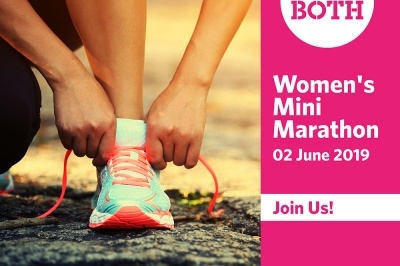 The LoveBoth Project is taking part in the VHI Women’s Mini Marathon on Sunday, June 2nd, 2017. We’d love if as many of our supporters as possible could join us on for a day of fun and fitness. All the funds raised will support the LoveBoth ‘Show Your Love’ initiative to support women in unplanned pregnancy and new mothers in need. How can you support the cause? Click here to sponsor these amazing women through their GoFundMe account. Register for the race directly on the VHI website by clicking here. Once you register, you’ll be given an official confirmation number. After you receive your confirmation number please fill out the form below. We’ll then send you out your official LoveBoth race pack including a sponsorship card and some training support. You will receive your t-shirt on the day. If you would be interested in training with others in the group from your area please contact us at criostiona@prolifecampaign.ie.